Well, I'm obviously missing two things in this picture, and that would be makeup and a brush that I should have ran through my hair right before this was taken. The no makeup part was on purpose. The flying hair, on the other hand, was not so much. But I'm going to go ahead and say that it adds a little bit more to the au naturel look. So why exactly am I baring my face? Well, it's all because of my Clarisonic. Now, before you go thinking that this is some kind of paid review, I can assure you it's not. Some of my friends don't even know about this blog, let alone the mother of all face products. I just felt like it was my duty to spread the good word. Your face can thank me later. 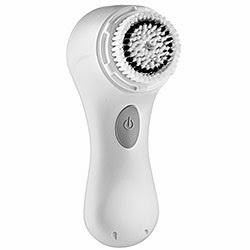 I will tell you though that if the lovely Clarisonic people would like to send me another one, I would gladly bare my face over the internet all day, every day. Hell, I'll even add in some more flying hair as a bonus. Over the last three years I can probably count on two hands how many times I've went to bed at night without washing my face. And all of those times were due to having way a little too much to drink and then directly crawling into bed. My skin has gotten soooooo much better because of this. Just to be clear it's because of the face washing thing, and not the drinking thing. But unfortunately because of previous years and not practicing that good routine, some little red dots decided to permanently indent themselves around my chin. Pair that with some redness, blotchiness, and unevenness, I was still not my skins biggest fan. ﻿﻿﻿﻿﻿﻿﻿﻿After reading lots of reviews on some of my favourite blogs, I had this little gadget sitting patiently in the back of my head for almost a year. Whoever says spending hours and hours of blog reading is a waste of time clearly has not spent hours and hours of blog reading. The only problem was that I really didn't want to dish out that kind of money. Insert Christmas. I had no problem whatsoever asking someone to dish out that kind of money on me for Christmas. Insert Todd. Insert this. I chose the Mia for two reasons; number one being the lower price tag, and number two being that I heard that the only difference between the other options was the speed settings. So, it was the Mia for the win. I can honestly say that it was love at first....errrr, scrub? After the very first time I used it, my face looked more even, to my eyes. Even those pesky little red scars didn't seem quite as bright. And I can't even begin to explain to you how soft my face felt after. The entire night I could not stop touching my face. 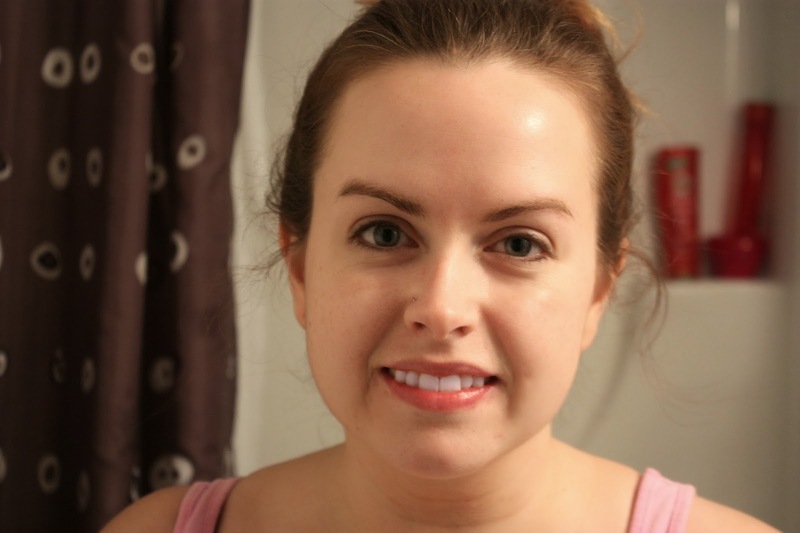 Even the next morning my foundation seemed to glide over my face so much smoother. 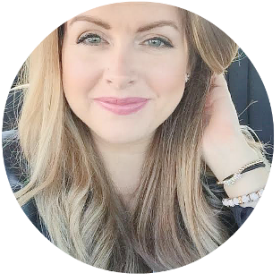 But although I was super excited and wanted to immediately run here and tell you all about my awesome little product, I wanted to wait a whole month just to see if it was in fact as good as it appeared to be. It's been almost a month and a half and it was indeed as good as it appeared to be. I have not had one pimple come out on my face since using it, even during that lovely time of the month when my friends always decided to throw a little party, with the host being my chin. Touch wood. Here's another interesting thing that's definitely worth mentioning. I read on the package one evening that the Clarisonic cleans 6 times better than using your hands. So that night I did a little experiment. I did my normal face time routine that I would do before the Clarisonic came into my life, which consisted of quickly using a facecloth to get rid of the majority of my foundation and eye makeup and then using my hands with my normal cleanser to get rid of the remainder. This time, though, I added the Clarisonic on top of all of that. I'm sure at this point Todd was wondering what I was doing in the bathroom for so long. You guys, the Clarisonic brush still showed makeup on it. That right there goes to show you that every single night when I thought my face was squeaky clean, there was still crap left on it. I'm so excited to see how much my skin will love this a few months from now because I promise you I will still be using it. A sample cleanser came with the Mia but my sister bought me the Fresh Soy Face Cleanser and it is ahhhh-mazing!